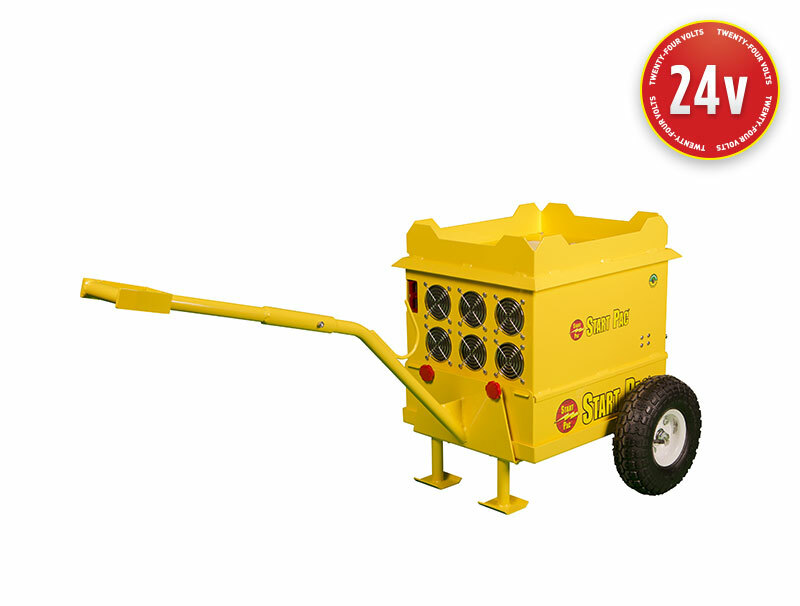 This patented combination ground power unit is designed for ground use to perform both engine starting and maintenance functions. This model can be used on the ramp to conduct engine starting and will provide 28.5V of continuous clean no duty cycle power when plugged into 220V AC wall power. To recharge the unit, simply plug it into an AC wall power outlet and leave it plugged in when not in use. The high tech proprietary chargers will maintain 100% battery charge without over charging the batteries. 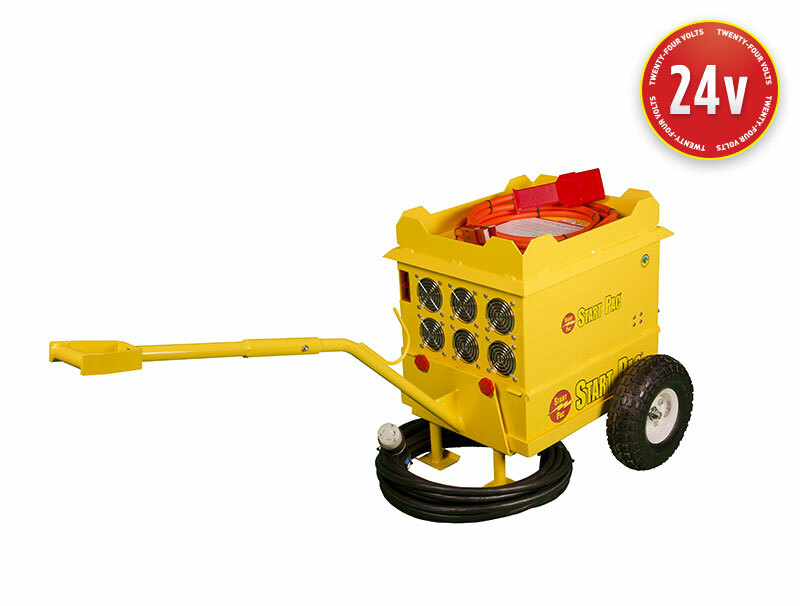 Built with the only cost effective patented Quick Change design in the world, the batteries in this unit can be easily changed in a matter of seconds without tools, training, or downtime. The environmentally responsible low VOC powder coating protect the case from wear and poor weather conditions and all-weather cover accessory is also available as an option for this unit to further protect it from inclement weather to gain the maximum performance and product life. The Model 3324QC-105 amp GPU is a combination power supply and battery bank. NOTE- When using more than 105 continuous amps, the batteries will make up the difference until they become depleted. On most aircraft, a low voltage relay will drop below a preset level. Once the GPU is dropped off, its voltage will rise and will be accepted again by the aircraft, then will immediately drop off again. This oscillation can cause damage to aircraft components. The 3324QC 105 amp weighs 200 Lbs. and is pulled by hand or tug. Locking the handle in an upright position sets the GPU brake.